Albanische Medien schreiben jetzt schon, das die Generalstaatsanwalt, Staatsanwaltschaften zu inkompetend sind Ermittlungen zuführen, Anklage zu erheben usw.. Die Internationlen schützen mit allen Mitteln ihre eigenen Betrugs Geschäfte mit den Bauschrott – Betrugs Infrastrukur Geschäften, allen voran die Deutschen mit Betrugs KfW Geschäften und EBRD Betrugs Geschäften, wo das komplette Land zerstört wird. Die IRZ-Stiftung, Abteilung VI, des Justiz Ministeriums, der Hirnlosen Inkompetenz und Peinlichkeit, inklusive „facebook“ Idioten Clubs. Verantwortlich Dr Stefan Pürner, und Frank Hupfeld, LPBT Schwuchtel mit einem angeblichen Kinder Hilfwerk in Moldawien, was in Tradition stark nach Kinder- ev. sogar Organhandel riecht, wie Verhaftungen rund um NGOs der „Zivilen Gesellschaft“, in Griechenland, Albanien aufzeigen! Kompetenz, Erfahrung, als Richter, in der Justiz, etc. Null. Das System der „Camorra“ Organisation: IRZ-Stiftung: Fach Kompetenz braucht man nicht, sondern man muss: „Schwafel Fähigkeiten der Selbstdarstellung“ haben und damit niemand es merkt das man dumm ist, umgibt man sich mit Dummen und Ja-Sagern, wie Deutsche Minister halt, was bei dummen Deutschen Justizministern der Peinlichkeit anfängt. 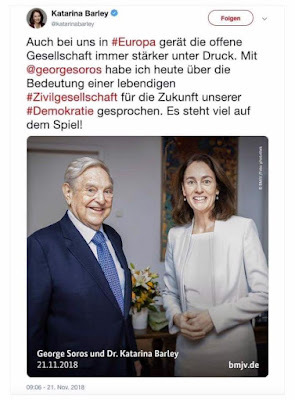 Natürlich müssen diese Idioten, wie Knut Fleckenstein, die sogenannte „Zivile Gesellschaft“ promoten einem korrupten Sammelclub von Idioten, wo man so gut Geld stehlen kann. Die Albanische Mafia Regierung macht auch im Jahre 2018 NIchts, um von Kriminellen an der Küste zu räumen! Das wäre ganz einfach, denn die Dokumente nach Gesetz 7665 Prioity Tourismen Zone, sind absolute Dokumente, in der Regel vermessen und unverkäuflich. Auch das ist Nichts Neues, die absolute Inkompetenz, weswegen diese Justiz Missionen Vorbild sind für Organisierte Kriminalität im „Camorra“ Stile, denn dreister kann man nicht Non Stop seit 25 Jahren Millionen stehlen um Betrug, Geldwäsche, Drogen Handel zutarnen. Frank Walter Steinmeier im Solde der Verbrecher Kartelle und der US Super Mafia Nr. 1 dem Gambino Clan mit Hillary Clinton. Staatsempfang für Verbrecher in Berlin. The Justice Reform, acclaimed as the panacea of all of Albania’s ills, and the consequent “vetting” – now become a contagious phenomenon that extends from judges to policemen, to coastal property and soon to other Albanian categories, as well – are beginning to show their true and disastrous nature. The latest news is that the Serious Crimes Prosecutor, the one that so far has investigated (sometimes even with reasonable success) drug trafficking, has declared she is legally incompetent to work many dozens of dossiers related drug trafficking investigations. As a result, she chose to send the dossiers to the competent local prosecution offices. Exit has repeatedly warned that this phenomenon was imminent, yet no international voice considered the subject worthy of note. The fact is that, along with the much acclaimed Justice Reform, a rule contained in the amendments to the Criminal Procedure Code (one of those laws passed with a simple majority, not discussed with the opposition, and in open violation of the political consensus promised by the international envoys) establishes that all crimes that are not corruption or perpetrated by a “criminal structured group,” are the responsibility of local prosecutors, while a national independent super-prosecution deals with corruption offences (but not those of abuse of office). Meanwhile, the Serious Crimes Prosecution Office – which for more than ten years has been laboriously learning how to balance environmental interceptions, international investigations, extraditions, exchange of evidence with foreign prosecutors and so on – is effectively suppressed by a Justice Reform that came into force even before it was able to create the bodies necessary for its implementation. As a result of the Criminal Procedure Code amendments, local prosecutors are now granted automatic “territorial competence” regarding drug trafficking – even though they aren’t equipped with nor the staff, nor the professional competence necessary to counter drug trafficking. Furthermore, the latter is almost never classified as operated by a “structured criminal group” because a group being defined as such requires the repetition of the same crime by three or more people in association with each other. The reformed Albanian jurisprudence says that drug trafficking can be investigated and combated by local prosecutors, many of whom deal with less than a dozen cases per year, obviously not always successful in court. It is very likely that, from now on, nearly all drug trafficking cases will be investigated by local prosecutors, seeing as, both judges and attorneys can easily challenge the existence of the repetition of the crime, with the risk of the direct acquittal of the defendants. The most obvious example is the dossier on the 615 kgs of Colombian cocaine hidden inside a banana container and confiscated in Maminas a few weeks ago. A drug shipment of this size – valued by the police at $180 million dollars – obviously requires, in addition to political protection, a consolidated group of financers and distribution networks. Consequently, it would be relatively easy for this case to be prosecuted as one authored by a “structured criminal group,” yet the reality is very different. In fact, to date, the only people under investigation for this affair are the owner and administrator of the company that had ordered the banana shipment, as well as the unfortunate driver assigned to transport the shipment from the Durrës port to the Maminas warehouse, whose involvement in this whole matter was very likely entirely accidental. This already excludes one of the two elements needed to classify this case as the work of a “structured criminal group.” Meanwhile, the second element – the repetition of the same crime – could only be present if one knew of another container of drugs trafficked by the same persons. It does not matter that the drugs were packaged and tagged with numerous different coded labels indicating its intended destination. It doesn’t even matter that the same importer had been reported in the past for a similar crime committed in South America, since the dossier never arrived in Albania, so, evidently, his record must be clean. And so, the 615 kg of cocaine dossier was transferred to the Durrës Prosecution Office that, in addition to not having much experience in international investigations, and is headed by an already infamous prosecutor under the thumb of an unconstitutionally elected Temporary General Prosecutor. The banana cocaine dossier will soon be forgotten, lost in a swamp of incompetence and lack of willpower, but to the full satisfaction of those many political characters who have financed, managed and protected the purchase and transportation of that shipment. What will lose all its credibility will be the Justice Reform, poisoned from the beginning by the giddiness of the Socialist government to impose it via a simple majority, desperately supported by a “structured diplomatic group,” that is consistently delegitimized and disgraced in front of the public, but that has succeeded, in its absolute self-referentiality, to impose and to support in front of the whole world, not only a deliberately misguided reform, but also the criminal group that kept waving it like a club against a not entirely blameless opposition. Now the size of the disaster lies in front of anyone who is willing to see it. 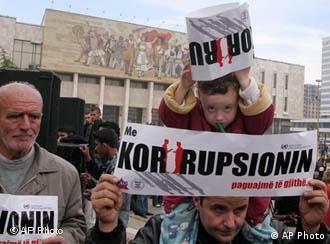 Albanian justice is fundamentally stuck, and, somehow, even less credible than before. But, if until yesterday we could at least hope for the intervention of some international body, some embassy, ​​some truly friendly government, today, in the eyes of the Albanian people, now intimately familiar with the true nature of its political leadership, every embassy seems to be, at best, willfully ignorant, and, at worst, an accomplice of the drug traffickers. The only consolation, or rather the only alibi, is that Albanians are increasingly eager to leave the country for Europe or America. Now, however, America, Europe and all its Member States are no longer lifeboats for collective rescue, but rather mere individual safe havens. As they are for Africans, Syrians and Afghans. Ein Enthüllungsvideo war vor einem Jahr Anlass für die Demonstrationen gegen Korruption in Albanien. Vier Menschen starben. Der damalige Vizepremierminister, der auf dem Video zu sehen war, wurde jetzt freigesprochen. In Albanien ist am Montag einer der spektakulärsten Korruptionsprozesse der vergangenen Jahre mit einem Freispruch zu Ende gegangen. Angeklagt war der Politiker Ilir Meta…. 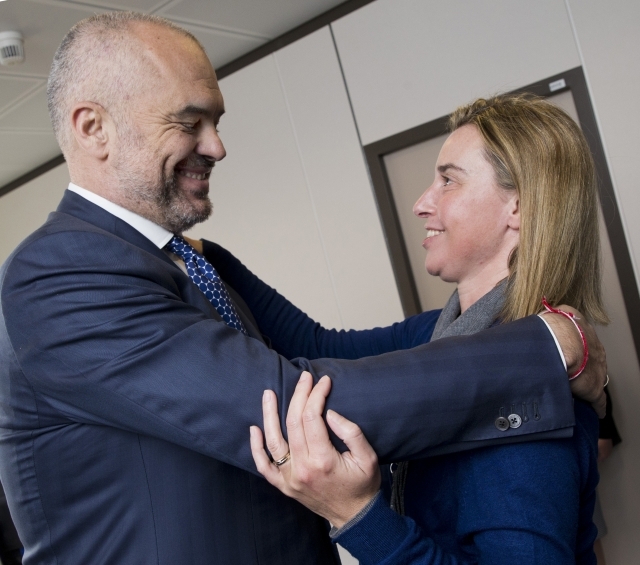 Zweimal Prominenz im Drogen Handel: Edi Rama und Frederica Mogrehini, wo die Cousine den VIP Kokain Handel in Rom unter sich hat. Lt. Grundstuecks Gesetz, die „absoluten“ Grundstuecke mit Gesetz 7665 „Priority Tourismen Zones“, nicht registriert, ebenso: wichtige Militaer Grundstuecke in „Spille“, wo „IDLIR KARKINI“Militaer Vertrags Partner heute auch wegen anderen Betruergeien gesucht wird. Wo sind die Grundstücke, Gebäude der Gewerkschaften verschwunden? Und so geht es weiter, wo Kriminelle aus Berlin, USA, EU verhindern, das die wichtigsten Grundstuecke registriert werden , inklusive Parks, und jedes Baugesetz in der Muell Tonne landet, seit 1993, betoniert wird wie Hunderte von Antiken Staetten. Straffreiheit für kriminellen Banker in Albanien, was der AAEF Fund vormachte. Motor des Betruges: USAID Fund, mit System Diebstahl entlang der Autobahn, vollkommen illegal, ein Betrugs Konzept von Vielen der Amerikaner im Kosovo und Albanien. 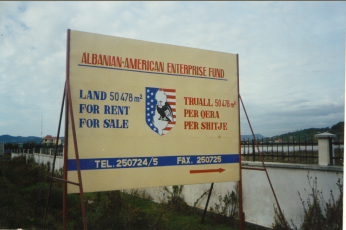 Der Albanian American Enterprise Fund, verkaufte wie hier mit einem Foto aus 2001 bewiesen ist, iillegal Gewerbe Grundstücke direkt an der Autobahn Tirana-Durres, wo damals die Mercedes Vertretung steht. Alles illegal gebaut. 2017, wurde Besnik Dervishi, 50 % Eigentuemer der Mafia Baufirma des Spiro Ruci : „Drymades Dream Sh.P.K, welche das Projekt „Drymades Dream“ ein reines Immoblie betrieb. 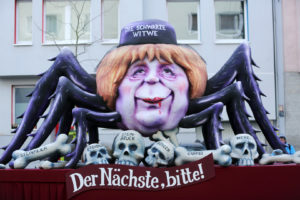 Mit Hilfe des beruechtigten Agarland Gesetzes, falscher Zeugen, wurde zuvor Spiro Ruci 2014, Eigentuemer des Grundstueckes, obwohl Proesse liefen, obwohl der nicht einmal im Lande war. Illegal wurden wie Albaner Mafia System, das Agrarland umgewandelt in Bauland, mit Baugenehmigung, Alles zusammen gefaelscht und EU und KfW finanziert. Veredelt werden die Kuesten, durch Luxus Promenaden, korrupter EU Banden, welche dann nach einem Jahr Bauschrott sind. 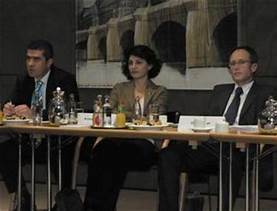 Entwicklungsbank des Europarates (CEB), Sitz der Bank ist Paris. 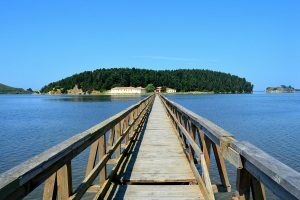 Gouverneur ist Dr. Rolf Wenzel (Deutschland).Eine Mafia Foerderung des Deutschen erneut, denn fuer Luxus Strand Promenaden, Geldwaesche Projekte, Immobien Geschaefte ist der Fund nicht vorgesehen. ++++ aktuell die Luxus Promenade von dem korrupten Bankmanagement finanziert und in Tradition und mit dem Gangster des Edi Rama: Benet Beci, dem Zivilen Aufbau Funds mit dem Zivilen Aufbau Funds finanziert. Stärken sozialer Integration: Hilfe für Flüchtlinge und Vertriebene, Wohnraum für Minderbemittelte, Verbesserung der Lebensbedingungen in Stadt und Land. Umweltmanagement: Vorbeugung gegen Umweltkatastrophen, Umweltschutz und Bewahren kulturellen Erbes. 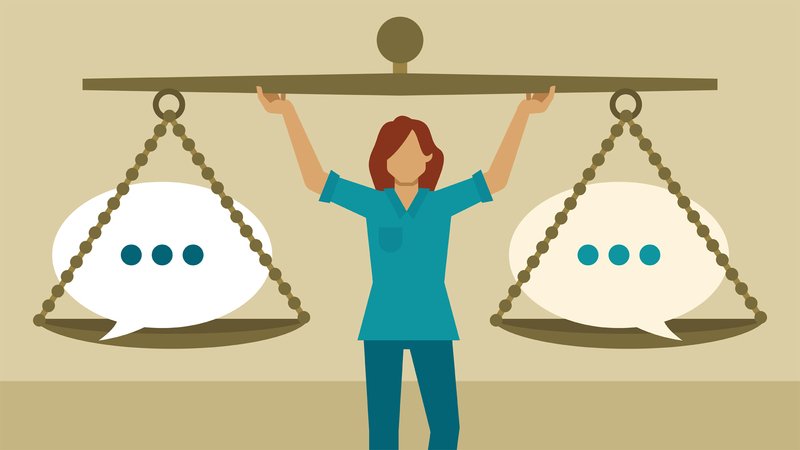 Entwickeln von „human capital“: Förderung von Bildung und Gesundheit. 4.700 qm wertvollster Kuesten Wald, mit Oliven Baeumen wurden sinnlos abgeholzt, ebenso illegal ein Hotel 100 Meter vom Ufer gebaut, wo 300 Meter bei regulaerer Baugenehmigung der Mindest Abstand ist. Besnik Dervishi, war einmal auch Praefekt von Vlore, machte grosse Sprueche, ueber die Vlore Mafia, ist real selbst ein Mitglied dieser Banden. Danach wurde er Staatskommissar (Komisioner i Mbrojtjes së të Dhënave Personale), fuer Personen geschuetzte Daten, also kurz gesagt, fuer den Kauf neuer Identitaeten der Albaner zustaendig, ein Phantom Mafia Posten. Në maj 2017, gazeta prestigjioze “The Guardian” e ka renditur plazhin shqiptar Drimadhes në Dhërmi, si një prej plazheve më të bukura të Europës. I shtrirë në shpat mali, Dhërmiu gjendet 210 km nga Tirana dhe 72 km nga Saranda dhe ka 5 km bregdet. Drimadhes, plazhi historik i lagjes Gjilek të Dhërmiut konsiderohet si zemra e gjithë basenit mesdhetar, ku deti Jon dhe klima që krijohet në këtë pjesë të Mesdheut ka një veçanti që shumë studiues, që në kohët e lashta, e kanë vlerësuar si vendin e ajrit dhe ujit të bekuar. Në 6 qershor 2017, Komisioneri për Mbrojtjen e të Dhënave Personale, Besnik Dervishi dhe biznesmeni nga Vlora, Jorgji Ruci krijuan shoqërinë “Drymades Dream” sh.p.k. Shoqëria me ortakëri dhe kapital të barabartë, sipas të dhënave të regjistrimit tregtar, është krijuar që, të importojë dhe eksportojë artikuj ushqimorë, fruta-perime; të prodhojë e montojë vetrata, dyer dhe dritare; të hapë agjenci doganore, agjenci informacioni dhe agjenci turistike, por të bëjë edhe investimeve në fushën e ndërtimit, duke kryer të gjitha llojet e punimeve si: suvatime, punime armature, përpunime hekuri, ndërtimin e rrugëve e të veprave të artit të përfshira në to, papërjashtuar ndërtimin e autostradave. Zyra qendrore e shoqërisë Drymades Dream, deklarohet nga dy krijuesit e saj, se ndodhet në “Vlorë-Dhërmi, Zona Kadastrale Nr.1739, pasuria Nr.198”. Shihet qartë që nuk është një adresë, por një referencë kadastrale që vlen vetëm për regjistrat e hipotekës. Të dhënat e regjistrit tregtar (QKB) tregojnë se ortaku Jorgji Ruci i dhuron shoqërisë një truall me sipërfaqe 4700 m2 që është pikërisht pasuria me referencat e regjistruara si Zyra qendrore e shoqërisë “Drymades Dream” sh.p.k. Besnik Dervishi, Komisioneri për Mbrojtjen e të Dhënave Personale, zgjodhi vendin më piktoresk dhe turistik për të krijuar shoqërinë e “ëndrrave” me ortakun e tij dhe për të marrë vendimet e duhura për ndërtimin e një kompleksi turistik. Ai dhe partneri në biznes, zgjodhën plazhin e bukur dhe të rrallë të Drimadhes, 100 metra larg hotelit me 5 yje “Morina Palace” buzë bregut të kaltër te detit Jon. Shembuj të abuzimit me pushtetin, apo me ushtrimin e aktivitetit privat tregtar hasen çdo ditë, në 27 vitet e demokracisë sonë të brishtë, por shembullin se si adresa e një biznesi gjendet në një breg deti me gurë të bardhë, ullinj të lashtë dhe pa asnjë objekt mbi të, e ndeshim për herë të parë. Këtë risi të ushtrimit dhe adresimit të aktivitetit në plazh e sjell shoqëria e Komisionerit Besnik Dervishi, “Drymades Dream” sh.p.k. Adresa dhe ushtrimi i aktivitetit janë më e pakta që mund të tregohen në një histori që të bën pronar të 4700 m2 toke në buzë të detit Jon dhe në zemër të Dhërmiut – Drimadhes, pa asnjë mundim, e cila fillon me disa mijëra euro dhe pretendon miliona më pas. Me një vendim të gjykatës së Vlorës, në 12 dhjetor 2013, Spiro Ruci nga Gjileku i Dhërmiut bëhet pronar i 3520 m2 tokë, pasi më parë me Ligjin Nr. 7501 kishte përfituar sipërfaqen prej 1280 m2 tokë ullishte në vendin e quajtur Gajtanika (vetulla e bregut), në Drimadhes. Spiro Ruci, pretendon se tokën e kishte të tijën duke paditur Bashkinë Himarë, e cila e kishte në pronësi deri ditën e vendimit të gjykatës. Edhe pse pa një titull pronësie, Spiro Ruci shpallet pronar me vendim gjykate sipas një parimi të fitimit të pronësisë me parashkrim fitues kur ke një pronë në posedim mbi 20 vjet. Tre dëshmitarë nga fshati Dhërmi, njëri prej të cilëve “qëlloi” të ishte vetë topografi i Bashkisë Himarë, kur vetë Bashkia Himarë ishte në mungesë gjatë gjykimit, i deklaruan gjykatës se bashkëfshatari i tyre Spiro Ruci e ka patur gjithnjë në posedim tokën ullishte buzë detit për më shumë se 20 vite. Nuk ka të dhëna të qarta nëse Spiro Ruci ka jetuar në Greqi apo Shqipëri, por Gjykata e Vlorës vendosi që ta quante pronar të ligjshëm të tokës ullishte, pasi Bashkia e Himarës nga ana e saj në mungesë, nuk pretendoi asnjë kundërshti në procesin gjyqësor, madje nuk e ankimoi fare vendimin e gjykatës, i cili mori formë të prerë në 24.1.2014. Spiro Ruci bëhet pronar i 4700 m2 në Drimadhes dhe e regjistron pronën e tij në zyrën hipotekore në Vlorë në 17.2.2014. 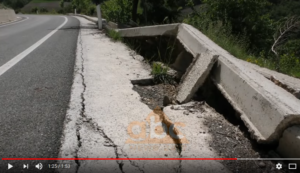 Në 5 Mars 2014, Spiro Ruci e shet tokën te Florenc Gjikuria dhe ky i fundit më 7 Maj 2014, e shet përsëri tokën ullishte te Jorgji Ruci me një çmim prej 28.000 euro. Spiro Ruci, biznesmen nga qyteti i Vlorës, pasi krijon shoqërinë “Drymades Dream” në 6 qershor 2017 me ortakun e tij Besnik Dervishi, e dhuron tokën ullishte 4700 m2 te shoqëria që krijoi dhe administron vetë, si kontribut në natyrë për rritjen e vlerës së kuotave të shoqërisë. Ortaku tjetër Besnik Dervishi supozohet se ka paguar 28.000 euro për kontributin e tij me 50% në kuota ndaj shoqërisë, si kapital që do nevoitej për zmadhimin e kapitalit të shoqërisë për të ndërtuar një kompleks shërbimi hotelerie mbi token e dhuruar. Nga investigimi i kryer në institucionet shtetërore, shoqëria “Drymades Dream” me numër unik L76812205F nuk ka kryer asnjë aktivitet që prej krijimit të saj dhe nuk ka realizuar asnjë shërbim duke prerë fatura ndaj të cilave do aplikohej TVSH. Ortakët e saj kanë marrë vendim për zmadhim kapitali, edhe pse nuk kishin një zyrë ku të uleshin, zyrë ku një shoqëri mban dokumentat dhe shërben për komunikimin zyrtar, e cila lidhet me te dhënat e treguara në ekstraktin e regjistrit tregtar për “Drymades Dream” sh.p.k. Si shoqëri tregtare me gamë aktiviteti shumëdimensional, “Drymades Dream” nuk ka patur asnjë të punësuar për muaj me rradhë, përveç administratorit të saj Jorgji Ruci, i cili ka deklaruar një pagë bruto prej 24,000 lekë ne muaj. Në fundin e vitit 2017, shoqëria sipas të dhënave që tregon faqja zyrtare e Agjensisë së Zhvillimit të Territorit – Këshillit Kombëtar të Territorit (KKT), ka aplikuar që t’i aprovohet një leje ndërtimi për ndërtimin e vilave 2 katëshe, sipas një profili hotelerie në truallin ullishte në pronësi të saj, 4700 m2, Drimadhe – Dhërmi. Nga të gjitha të dhënat e mbledhura, rezulton se dy “gjeni” të sipërmarrjes së lirë, ku njëri është zgjedhur nga Kuvendi i Shqipërisë për të garantuar mbrojtjen e të dhënave që lidhen me privatësinë e qytetarëve, kanë aplikuar për të ndërtuar një kompleks hotelerie në vendin më të lakmuar të fshatit Dhërmi, në Drimadhes, pa patur as edhe një zyre ose seli aktiviteti, apo staf që ta ushtronin atë. Toka ullishte prej 4700 m2 në vendin e quajtur “Gajtanika” apo vetulla e Dhërmiut, e blerë për 28.000 euro vetëm 100 metra larg hotelit më luksoz me 5 yje “Morina Palace”, në vendin bregdetar më të preferuar të pushuesve shqiptarë dhe të huaj, nga të dhënat imobiliare të zonës rezulton se ka një vlere mbi 500.000 euro në shitje dhe blerje reale. Ndërsa, vlera e vilave të ndërtimit të parashikuara në një zonë të tillë ndërtimore, e kalojnë shifrën e 3 milion eurove në shitje. Shumë pyetje që kërkojnë përgjigje nga autoritetet ligjzbatuese renditen në këtë fabul me dy “biznesmenë” që s’kanë zyra, por kanë plane të ndërtojnë një kompleks pushimi shumëmilionesh buzë detit Jon. Komisioneri apo bisnesmeni Besnik Dervishi?! Në muajin dhjetor të vitit 2017, një gazetar publikoi në faqen e tij në Facebook një status, i cili në morinë e ngjarjeve të shumta të politikës shqiptare, kaloi pa u vënë re dhe nuk alertoi asnjë institucion, në veçanti Kuvendin e Shqipërisë. Gazetari, evidentoi faktin se funksioni i Komisionerit Dervishi është i papajtueshëm me çdo funksion apo veprimtari tjetër, veç asaj të mësimdhënies. Komisioneri për të Drejtën e Informimit dhe Mbrojtjen e të Dhënave Personale është një funksionar publik që zgjidhet nga Kuvendi me propozimin e Këshillit të Ministrave, për një mandat 5-vjeçar dhe cilësohet si “gardiani” i respektimit të dy ligjeve: ligjit Nr. 119/2014 “Për të drejtën e informimit” dhe ligjit Nr. 9887/2008 “Për mbrojtjen e të dhënave personale”. Për vetë rëndësinë që ka ky funksion në sytë e qytetarëve dhe publikut, ligji ka parashikuar edhe papajtueshmërinë e këtij funksionit të komisionerit të zgjedhur me aktivitete të tjera. Për ta përforcuar rëndësinë e këtij neni, i njëjti ligj në nenin 36, parashikon edhe rastet e mbarimit të mandatit të Komisionerit para kohe, ku sipas pikës 2, germa “c” të këtij neni, përcaktohet se “Komisioneri mund të shkarkohet nga Kuvendi, kur zbulohen raste të papajtueshmërisë së funksionit të tij”. Shoqëria tregtare “Drymades Dream” sh.p.k., me ortak, kontribuues dhe përfitues me 50% të fitimeve të saj, Komisionerin Besnik Dervishi, nuk i thotë asgjë ligjëvënësve shqiptare apo qeverisë që e propozoi për të qenë në një post ku çdo veprimtari fitimprurëse është e papranueshme. Sot, kompleksi “Drymades Dream” nuk është ndërtuar ende, për të marrë formën e kërkuar nga pushuesit e plazhit të mrekullueshëm të Dhërmiut, ku më pas të gjithë të kuptojnë nëse Besniku është Komisioner apo biznesmen. Deri atëherë, do kenë rrjedhur shumë ujëra, jo vetëm në detin Jon, por edhe në sferat e vrullshme të jetës në Shqipëri, ku ndodhitë me komisionerë dhe biznesmenë të bregdetit, do kujtohen dhe shkruhen si histori banale apo ndoshta, si kronika penale. 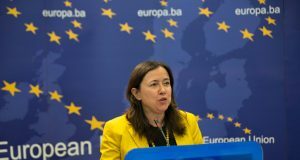 In Albanien, sollten eine Hirnlose NGO Truppe die Justiz übernehmen, was praktisch von den EU Banden gefördert wird. Sylvain Gamber (political chief of EU delegation) für die Justiz Reform zuständig, ist im Modell des EU Betruges und der IRZ-Stiftung aber ein Experte (Verträge), für Fischerei in der EU und Norwegen. Hier tobt sich der vollkommen inkompetende Betrüger und schlechter Schauspieler: Sylvain Gamber aus.Sylvain Gamber in Aktion, wo Alle nur den Kopf schütteln, was für ein Blödsinn Sylvain Gamber in Tirana von sich gibt. 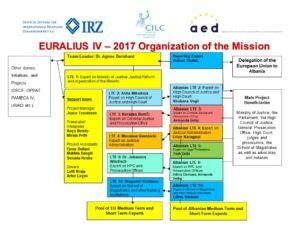 USAID, ist zu inkompetend, kriminell, das man dem US Kongreß eine Auflistung gibt wohin die Gelder gehen, identisch die EU Commission, wie der Rechenschaftshof kritisierte. 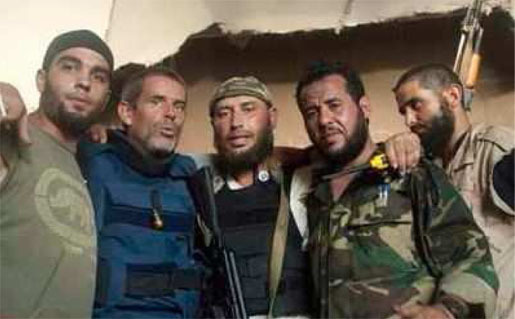 Albanian Muslim Mafia Crew of Myfit Dika, Gazmir Gjoka, and Kujtim Lika wanted by FBI for their part in international Afghan Heroin smuggling ring. Albaner Drogen, Kokain werden in Tonnen beschlagnahmt, nachdem man erneut die Drogen Plantagen und Verteiler finanzierte. “White Helmets primary function is propaganda” reported an independent journalist, who tied the group to George Soros and the controversial advocacy group Avaaz. Ist Conroy wirklich nur ein Fotograf? You've no doubt heard of the White Helmets, aka the Syria Civil Defense. They claim to be a neutral. Mit derzeit über 21 Millionen E-Mail-Adressen verfügt Avaaz über sehr viel Power, um politischen Druck auszuüben und Veränderungen hervorzurufen. Während den Unterzeichnern vermittelt wird, dass sie selbst über die Ausrichtung ihres Portals bestimmen, erhalten wir auf Nachfrage fast ausschließlich ausweichende Antworten, wer dieses machtvolle Instrument tatsächlich steuert. Ein Mitglied des Avaaz-Netzwerkes ist man schneller, als man denkt. Einmal gegen Monsanto-Patente oder bestimmte Pestizide abgestimmt, schon ist der Name und die E-Mail-Adresse für künftige Kampagnen hinterlegt. Die nächste Aufforderung zum Mitzeichnen einer neuen Kampagne kommt bestimmt. Doch was bringt der elektronische Aktivismus überhaupt, zumal die teilnehemenden Couch-Potatoes nur einen einzigen Finger dafür rühren müssen? Wir fragen im Rahmen unserer vier Interviews, was Online-Petitionen dauerhaft bewirken, weil die Politiker die Unterschriftensammlungen zumindest der privaten Anbieter ignorieren können. Hier der Link zu unserem einführenden Leitartikel zum Thema E-Partizipation. Der Kanadier Ricken Patel gründete im Jahr 2007 Avaaz. Über die Webseite werden seitdem auf globaler Ebene politische Kampagnen organisiert, die sich inhaltlich rund um die Themen Klimawandel, Menschenrechte, Tierschutz, Korruption, Armut und Konflikte drehen. Patel ist sehr gut vernetzt. Er war früher unter anderem Berater der Vereinten Nationen, der Rockefeller Foundation, Gates Foundation, der Harvard University und anderer Organisationen. Während sich die Unterschriftensammlungen der Vorgängerorganisationen MoveOn und 38 Degrees ausschließlich um landeseigene Angelegenheiten drehten, agiert Avaaz global. Das Kampagnen-Netzwerk richtet sich seit mehreren Jahren auch an das deutschsprachige Publikum. Effektiver als die Vereinten Nationen? Ein Impressum oder den Namen eines Ansprechpartners innerhalb von Europa sucht man vergebens. Nachrichten können lediglich über anonyme Kontaktformulare verschickt werden. Unsere englischsprachige Interviewanfrage blieb mehrere Wochen lang unbeantwortet, bis wir die Kontaktdaten des Berliner Mitarbeiters Christoph Schott ausfindig machen konnten. Schott arbeitete früher für die Züricher Kreativagentur Spinas Civil Voices, die bis dato Werbung für zahlreiche NGOs erstellt. Der ehemalige Deutschlandsprecher Julius van de Laar war im Wahlkampfteam von Barack Obama und im SPD-Wahlkampfteam der Kommunikationsagentur A&B Face2Net tätig. Heute berät van de Laar gemeinnützige Organisationen wie Amnesty International, WWF, Greenpeace und last, but not least, den Avaaz-Konkurrenten Change.org. Positive Aussagen über Avaaz werden auf der eigenen Webseite zuhauf angeboten. So wird beispielsweise die Süddeutsche Zeitung zitiiert, wonach dies eine grenzübergreifende Gemeinschaft sei, „die demokratischer, und möglicherweise effektiver“ arbeite, als die „Vereinten Nationen“. Wir konnten die Quelle nicht ausfindig machen und erkundigten uns bei Herrn Schott, woher dieses Zitat stammt. Auf unsere Nachfrage wurde uns zwischenzeitlich telefonisch mitgeteilt, es handle sich möglicherweise um eine Ungenauigkeit bei der Übersetzung eines englischsprachigen Artikels. Tatsächlich aber ist dies ein Leser-Beitrag des SZ-Blogs jetzt.de, welcher sogar auf Deutsch verfasst wurde. In der Printausgabe der Süddeutschen Zeitung wurde diese Aussage entgegen der Avaaz-Darstellung nie abgedruckt. Auf manch unserer Fragen erhielten wir schön klingende Slogans, für die sich eine Werbeagentur verantwortlich zeichnen könnte. Zufriedenstellend waren nur die wenigsten Antworten, wenn es um problematische Aspekte ging. Man möchte nach außen den Eindruck vermitteln, die Organisation würde alleine durch den Willen ihrer Mitglieder gesteuert werden. Man lasse sich vom Meinungsbild seiner Teilnehmer steuern, das wie ein Segelboot vom Wind getrieben wird. Doch stimmt das wirklich? Neue Kampagnen werden stichpunktartig an 10.000 Personen der Avaaz-eigenen Datenbank verschickt, um zu prüfen, wie diese ankommen. Doch dann bestimmen nicht die Befragten, sondern alleine die Mitarbeiter von Avaaz, was auf der Startseite erscheint und was nicht. Was dort nicht erscheint, ist chancenlos. Zwar wird jeder Besucher dazu aufgefordert, seine eigene Kampagne einzureichen. Doch wessen Unterschriftensammlung beim Kommittee durchfällt, der riskiert, dass seine Aktion verschimmelt und später mangels Beteiligung eingestellt wird. Dieses Schiff folgt nicht den Wünschen einer Schwarmintelligenz, es wird von Wenigen von Hand gesteuert. Als wir die Nachnamen der Entscheidungsträger für den deutschsprachigen Raum erfragen wollen, erhalten wir keine Auskunft. Transparenz sieht wohl anders aus. Auf unsere Rückfragen per E-Mail erhalten wir häufiger die Bitte, man solle den Global Campaigner Schott telefonisch kontaktieren. Inwiefern dies bei der Beantwortung der Fragestellungen helfen soll, war uns nicht klar. Auch führte diese Form der Kommunikation zu erheblichen Verzögerungen. Bei anderen Netzwerken ging die Beantwortung innerhalb von 24 Stunden über die Bühne. Unsere erste Anfrage an Avaaz wurde am 24. Januar 2013 verschickt. Auf die Beantwortung der letzten Rückfragen warten wir bis heute. Doch zurück zum Thema. Vielleicht ist Clicktivism eine Chance, politverdrossene Nutzer des Internets wieder ein wenig für brisante Themen zu sensibilisieren. Leider gibt es keine Kontrolle, was letztlich aus den Kampagnen geworden ist. Wurden die Unterschriften einem Entscheidungsträger übergeben? Oder liegen sie noch heute auf den Servern herum? Hat sich dadurch etwas verändert? Was fehlt, ist ein Watchdog, der die Aktivitäten der Kampagnen-Netzwerke nachhaltig verfolgt und prüft, was durch die Mausklicks vieler Tausender de facto erreicht wurde. Im Web wurden innerhalb der letzten Jahre mehrere Warnungen herausgegeben. Deren Hauptkritikpunkt lautet, Avaaz verbessere die Welt nicht, die Kampagnen sollen vielmehr der eigenen Sammelleidenschaft in Bezug auf die Nutzerdaten dienen. Mit dem Schein der Online-Beteiligung will die Vereinigung sogar angeblich ihre Nutzer beruhigen. Kritiker behaupten, die Bürger bedienten lieber ihre Maus und blieben zu Hause, statt für ihre Belange wütend auf die Straße zu gehen. Doch stimmt das wirklich? Wir versuchen es nun herauszufinden. Lars Sobiraj: Zunächst vielen Dank für die Beantwortung unserer Fragen. Worum handelt es sich beim Projekt Avaaz? Christoph Schott: Avaaz ist ein globales Kampagnen-Netzwerk mit über 20 Millionen Mitgliedern aus jedem Land der Welt. Die Mitglieder tragen täglich dazu bei, die einfache demokratische Mission der Organisation zu erfüllen: Die Lücke zwischen der Welt, die wir haben und der Welt, die sich die meisten Menschen überall wünschen, zu schließen. Lars Sobiraj: Wann wurde es gegründet? Christoph Schott: Avaaz wurde im Jahr 2007 gegründet. Seit der Gründung vor sechs Jahren ist es zur weltgrößten Kampagnen-Gemeinschaft herangewachsen, in der sich Mitglieder zusammen für Themen einsetzen, die ihnen am Herzen liegen und die sie gemeinsam verändern wollen. Lars Sobiraj: Wer hat dem Projekt diesen Namen ausgesucht? Christoph Schott: Avaaz bedeutet “Stimme” oder “Lied” auf vielen Sprachen, einschließlich Hindi, Persisch, Türkisch und Bosnisch. Der Namen wurde von Mitgründer und Executive Director, Ricken Patel, ausgewählt. Lars Sobiraj: Wer sind die Menschen, die das Gründungskapital gaben? Christoph Schott: Avaaz hat anfänglich mehrere kleine Zuschüsse von verschiedene Partnerorganisationen und gemeinnützigen Organisationen, wie zum Beispiel Res Publica, MoveOn, OSI und SEIU erhalten. Seit 2009 wird Avaaz ausschließlich von seinen Mitgliedern finanziert, wobei niemand mehr als 5.000 € spenden darf. Avaaz erhält keine Gelder von Regierungen oder Unternehmen und stellt somit sicher, dass die Stimme der Gemeinschaft ausschließlich die Wertvorstellungen seiner Mitglieder widerspiegelt. Lars Sobiraj: Wer sind die Menschen, die bei Avaaz mitarbeiten? Christoph Schott: Avaaz leistet Kampagnenarbeit in 16 Sprachen und besteht derzeit aus einem Kernteam von 70 Mitarbeitern aus aller Welt. Entscheidend ist jedoch, dass Mitglieder aus jedem Land der Welt ihre Zeit in das Netzwerk investieren, indem sie Kampagnen vorschlagen, Petitionen unterzeichnen und an Freunde weiterleiten, an Veranstaltungen und Demonstrationen teilnehmen, Entscheidungsträgern E-Mails senden oder sie anrufen und ihre eigenen Kampagnen auf der Internetseite von Avaaz starten. Lars Sobiraj: Wer leitet das Projekt und entscheidet über die Petitionen? Christoph Schott: Avaaz ist wie ein Segelboot und der Wind, der es antreibt, kommt von unseren Mitgliedern. Alle Kampagnen, die Avaaz durchführt, werden an einer zufällig ausgewählten Stichprobe von 10.000 Mitgliedern getestet. Jede Kampagne muss einen gewissen Grad an Zustimmung finden, um sicherzustellen, dass Mitglieder auch wirklich hinter dem Thema stehen. Jedes Jahr wird eine Umfrage an alle Mitglieder gesendet, um herauszufinden, welche Themen ihnen am Herzen liegen. Es werden auch regelmäßige Befragung durchgeführt, um die Ansichten der Mitglieder zu einer bestimmten Thematik besser zu verstehen. Die EU Botschafterin weiht eine Strasse ein bei Kukes, welche schon vor der Einweihung auseinander fällt. 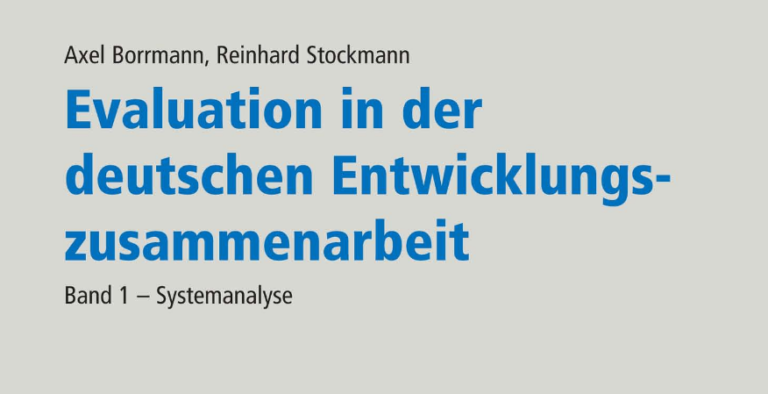 Die andere dumme Gestalt, die Leiterin der Justiz Mission. [caption id="attachment_223" align="alignnone" width="248"] Profi Betrügerin aus Österreich die letzte Leiterin der Justiz Mission. 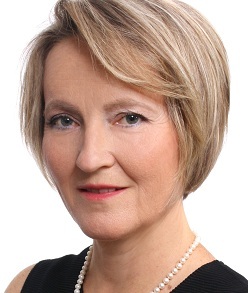 Erfahrung Null: Dr. Agnes Bernhard[/caption] 2 Master UET Uni von Georg Soros in Ungarn, die bereits wegen Unfug geschlossen wurde, nach Berlin umzog. 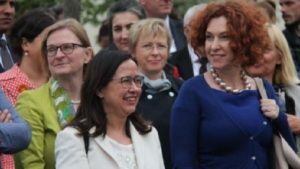 Identische die angebliche Professur der Betrügerin Susanne Baer, die nun Verfassimgsrocxjterom wurde mit gefälschten Lebenslauf und Qualifikation im System von Rot - Grüne, wie Margarete Kopper, die Generalstaatsanwältin von Berlin, mit Null Erfahrung im Justiz System.Und dann Und dann noch ein Master der Betrugs Fake Uni : New York Universität in Tirana, ein Berisha Produkt, wo die New York Time sogar einen Artiel schrieb. Die "Uni" die nur Titel verkaufte an die Albaner Mafia, wurde an eine Türkicshe Geldwasche Firma vor kurzem verkauft, hatte nie Vorlesungs Räume. 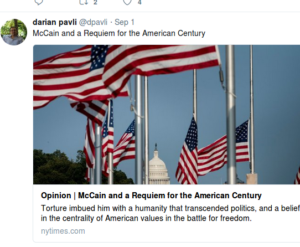 Und dann auch noch John McCain Anhänger:Darian Pavli. Ambasadori i Britanisë së Madhe në Tiranë, Duncan Norman në një intervistë ekskluzive për Report Tv, thotë se propozimi i PD për Vetting në politikë është interesant por thekson se ndoshta në këtë moment ku ndodhet Shqipëria është i panevojshëm.